As a follow up to an interview with Trina (@MiamiDish) for WLRN's Under the Sun, we scheduled a cooking session, with Trina choosing the dish for me to try. I didn't even know this was in The Project. What a hidden little gem of a recipe. 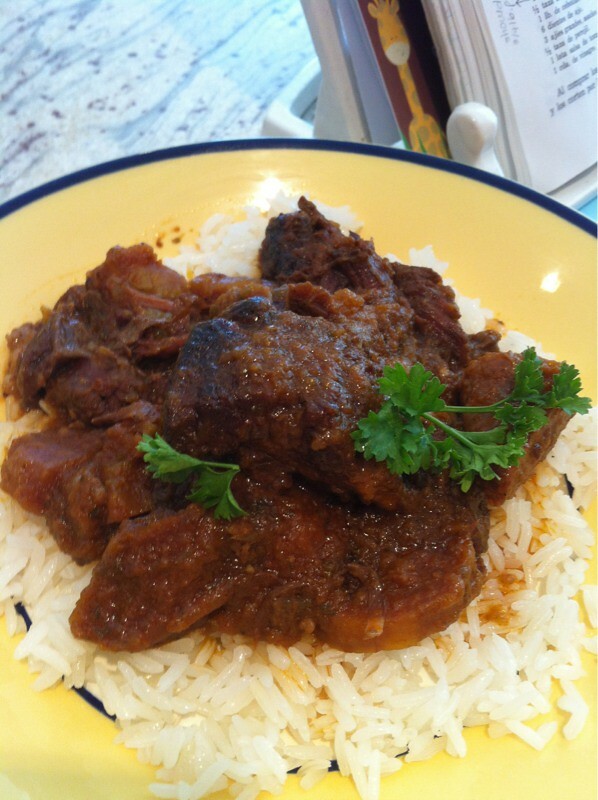 Something magical happens when the platano and beef stew together in the pressure cooker. Much different than its Cuban cousin, Carne con Papas. 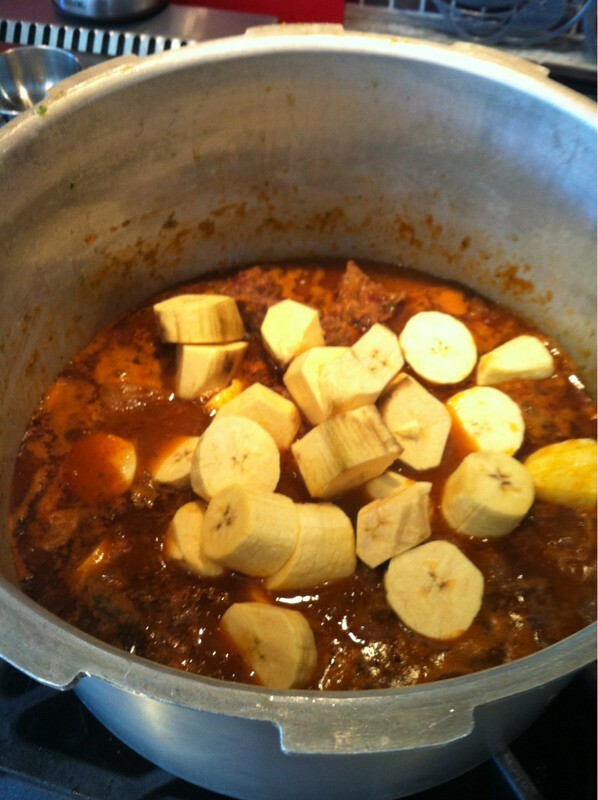 Because you use a platano pintón (a plantain that isn't mushy ripe, or maduro, nor very hard, or verde), there's a starchy sweetness that blends into the sauce that pops forth a tang with every bite. Paired with killer rice, this is a big winner. This second interview with Trina, that included the every day sounds of our crazy house, was fun. The kids ran around, the dog barked, the hubby peeled platanos and weighed in on his thoughts about The Project. My parents made a cameo, just in time to enjoy the meal. When Trina asked my mom about the worst recipe so far, she referenced Huevos a la Florentina, which we all quickly remembered as really being a bad one. Funny how we keep moving forward, recipe to recipe, and hardly stop to look back. Thanks, Trina, for helping us reflect on the past two and a half years. And how much more we have ahead. 1. In a food processor, blend the onion and garlic. 2. Remove the onion and garlic and pour into a bowl. 3. Add the green pepper and parsley to the food processor and blend. 4. Remove the green pepper and parsley and pour into a bowl. 5. Heat the oil in the pressure cooker. 6. 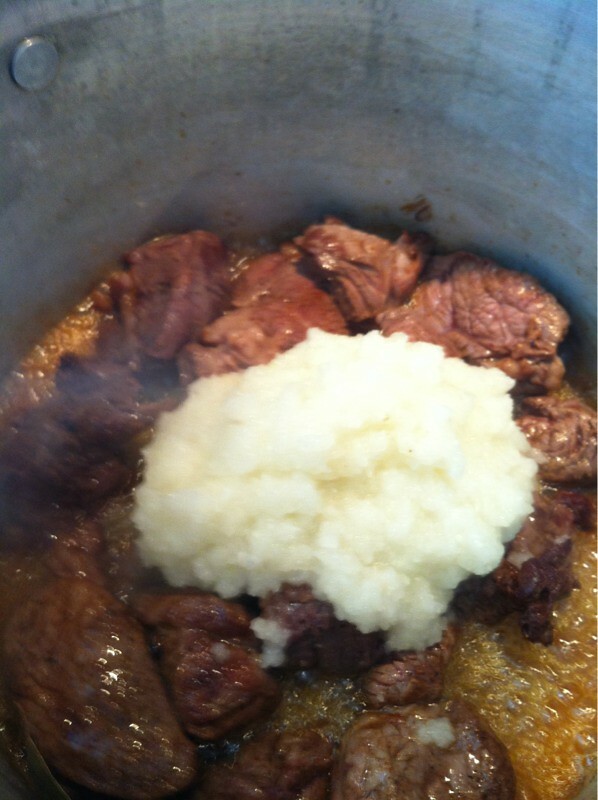 Add the meat and fry until browned on both sides. 7. 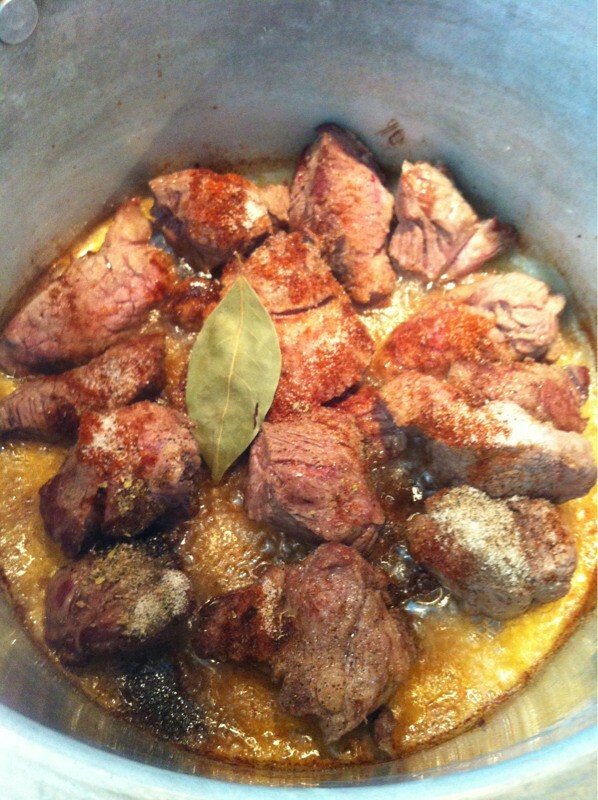 Add the dry spices and the bay leaf to the meat and mix well. 8. 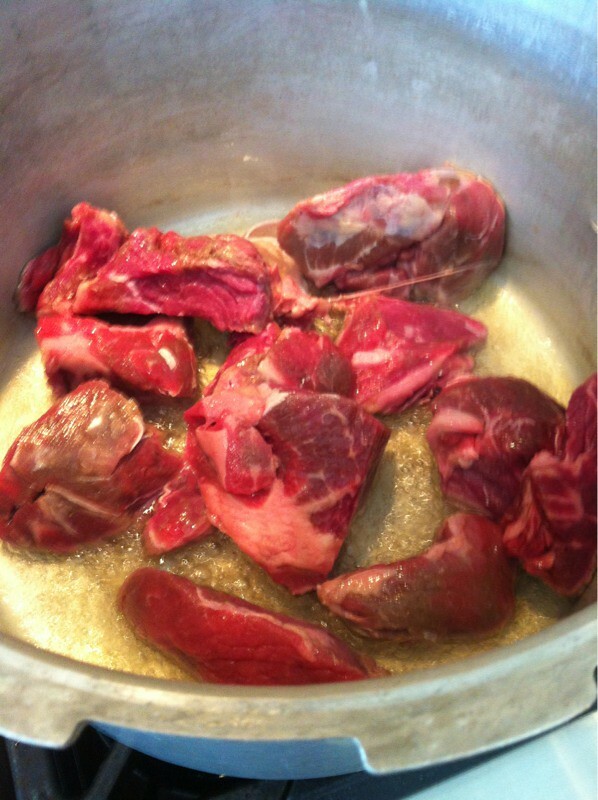 Add the onion and garlic to the meat and mix well. 9. 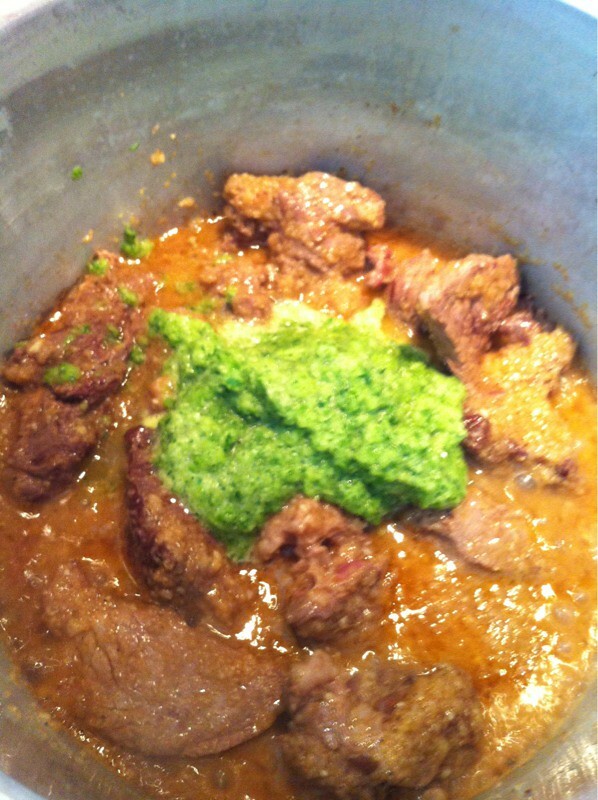 Add the green pepper and parsley to the meat and mix well. 11. 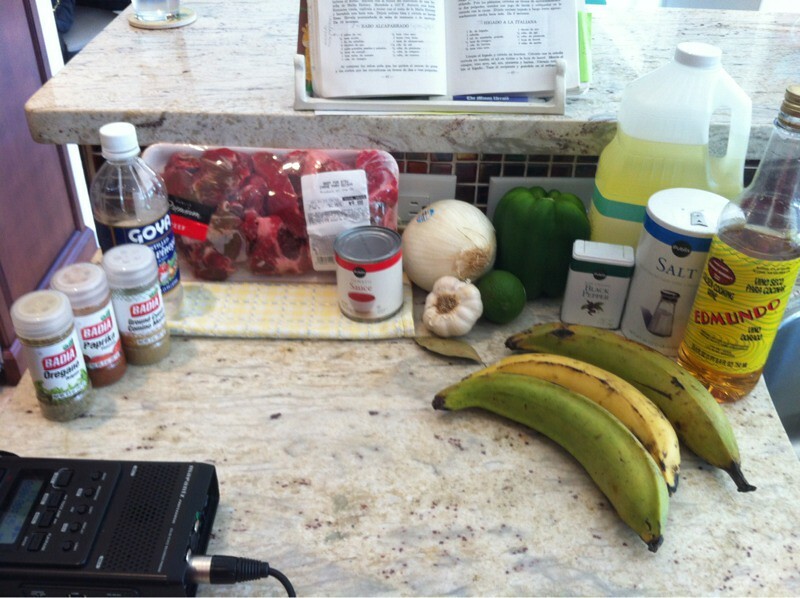 Add the tomato sauce, vinegar, cooking wine and plantains to the meat. 12. When everything comes to a boil, top the pressure cooker and let the pressure set. 13. When the pressure is set, lower the heat to medium-low and let cook for 45 minutes. Serve over white rice. Serves 6-8.